0.1 Why get an archery target? 0.2 Which type of archery target do you want? 0.3 Ready, steady, here we go! Why get an archery target? Continuous practice and improvement of technique have taught the bow hunters that this is the only way to get to execute exactly at the right time. The more you are dedicated to practice your hunting, the more you get closer to capitalize the big moment. And, the closer to reality your training is, the higher the chances to get where you want. This is why you need to spend some money on a good quality target that replicates what you see in the field. A circular target or plate helps you develop the basics on hunting, whereas a 3-D target makes you adjust for real world elements- the angle of your shot or size of your target. Many of the archery targets are easy to carry around, giving you the chance to try as many environments as you want. 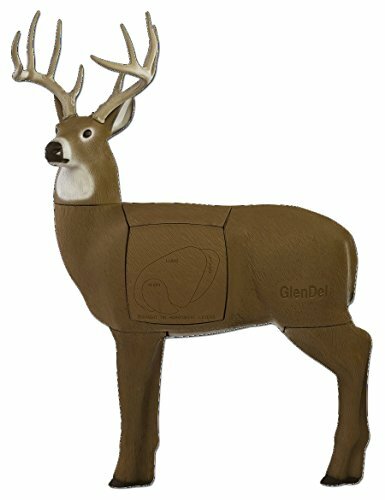 The diversity of the archery targets is amazing and you might find one for any situation you need. Which type of archery target do you want? When you go “hunting” for an archery target, it’s easier to know that there are three main types of archery targets to choose from. The most basic style of archery target is the bag target and any bow hunter has owned, at a certain time (probably in the beginning) this kind of archery target. Bag target contain a synthetic fiber fill so that the arrow is stopped and may be removed easily at the same time. 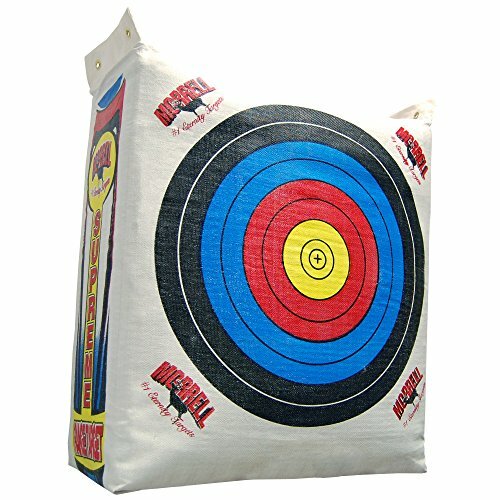 The bag target is great for the repetitive practice in the early summer. 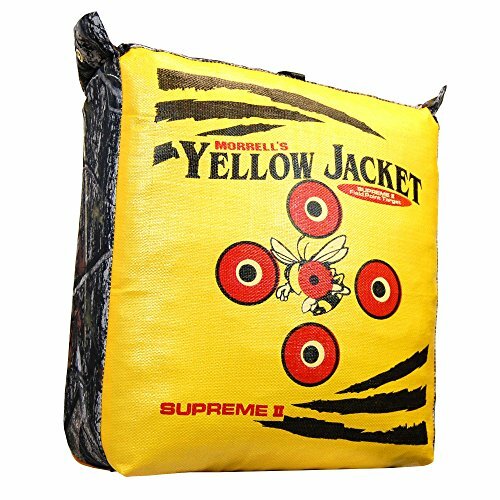 A bag target is pretty durable and gives you a lot of surface for your mishaps when sighting in the spring or summer. Keep in mind to protect the bag target from the elements as it soaks up water and can’t take the rain. Many bag targets are weather-resistant nowadays, but protect them anyway. You should only use bag targets for field points. It’s very possible that broad heads stay buried in the target, shredding the outer covering of the bag. Lightweight and easy to carry around, the foam layer block targets give easy arrow removal for light bow and are pretty low priced also. The arrow is pinched between foam layers and the friction stops its momentum instead of force. For a longer life span of your foam layer block targets, you should use field points. You may also use broad heads, but the targets lose their durability. The main downside for the foam layer targets is that friction is not always stopping them, but a heavy draw weight, which gives a more difficult removal of the arrow. The angle is very important when using this type of targets and you don’t want to shoot through or across layers. You may turn the block so that the layers aren’t disposes horizontally anymore, but vertically. The arrow should slide between layers like this, no matter the vertical shot angle. The foam layer targets are useful when practicing outside and always take in consideration the heavy bow and the possible difficulty on arrow removal. 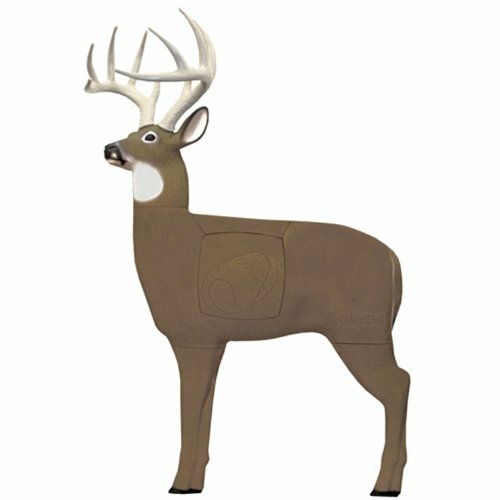 One of the best archery targets for real life hunting is the 3D foam target. You may find almost any animal species and many come with overlay options, showing the vitals on the outside to help you see better your shoot. The 3D targets wear out with repetition, but come with removable mid-sections in order to make them last longer. You should use mostly field points and chances are you may lose a broad head inside the 3D target. Life-like hunting simulations are way easier thanks to the 3D targets and you only need a realistic setting and start practicing. The 3D target helps you get used to shoot at the silhouette of your actual target game animal. As a plus, the 3 D target is lightweight enough to carry it around. Ready, steady, here we go! Now it’s easier to “hunt” your archery target as you know better which type fits your skills and likings. Every type of archery targets is made with a specific purposed and you know best if that purpose is yours too. Some think that plastic is not the best option, but as it’s easy to remove the arrows, no matter how much you practice. This says something about the durability of the target. 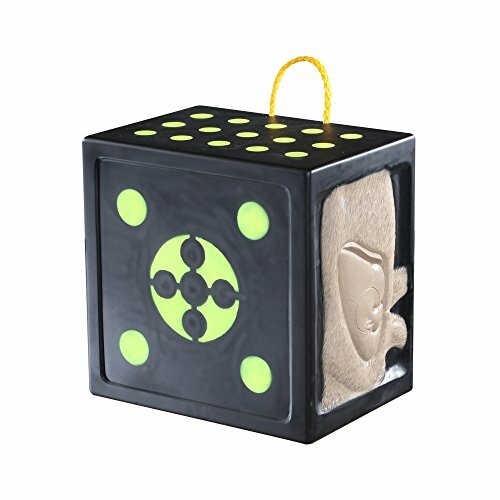 Even though you pay some extra cash for the 3-D target, it’s a good buy as you won’t have to buy another one any time soon. 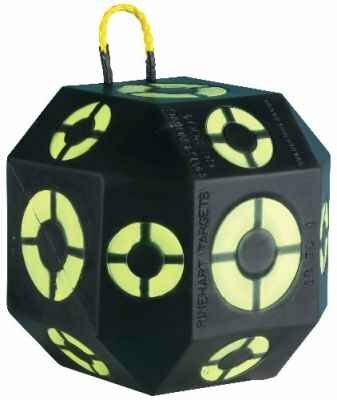 Even so, for a little over $100, you get a heavy duty broad head target able to give you 18 sides to practice. Well-made and long lasting, the Morrell 119 is a great target for the entire family, not only for the hunter of the house! You may need a cover for when it’s not in use, so here’s one. The target is around 32 lbs. 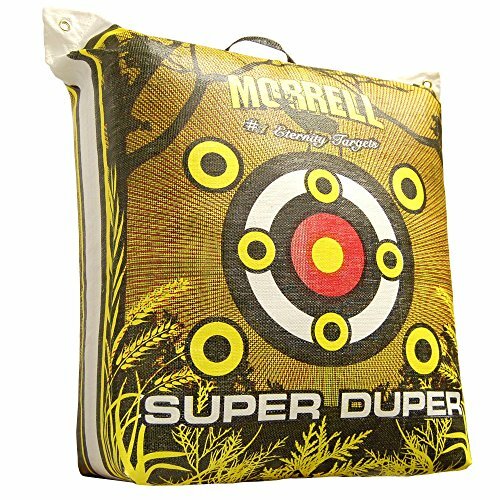 All in all, for the money you pay, you get great support for your hunting practice with the Morrell Elite Super Duper target. Some consider this to be pricey (which is not true) and, despite of its waterproofness, avoid to leave the bag outside in the rain. This is just playing safe, on our part. All in all, for a few bucks, you get a tough, durable and versatile bag target. 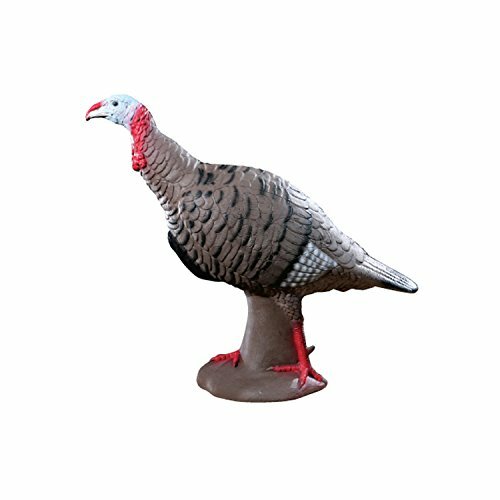 All in all, this is a good buy and a great 3D archery target when you practice for your turkey hunting. 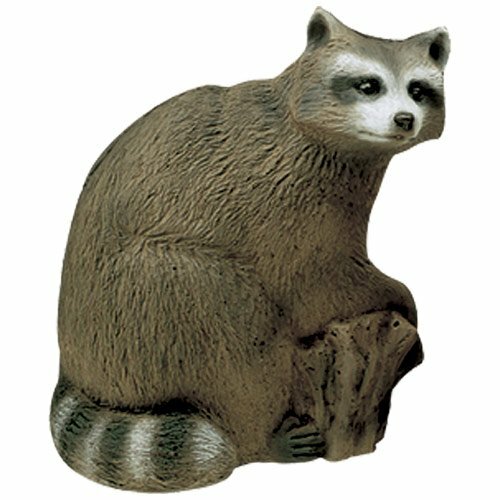 Another great realistic looking 3D archery target is the CW-X Delta McKenzie 3D Raccoon Backyard Target. As for the cons, sometimes it may be difficult to pull out the arrows out of the target. But for backyard use, this is quite a realistic 3D target that holds up to many practicing sessions. As for the parts we like less, we only need to mention the size of the target, as it’s smaller than a real life bear. 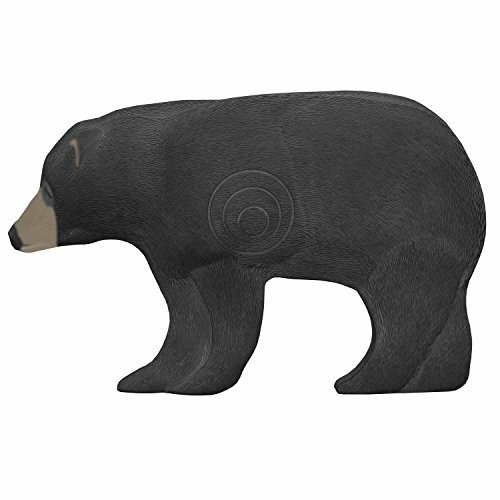 If you’re looking for a larger beast, then the McKenzie XT Series Medium Bear 3-D Target could be your thing. 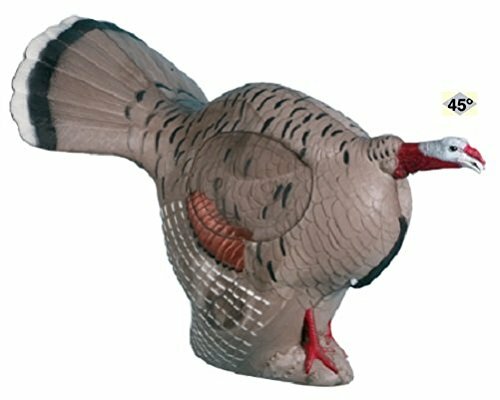 All in all, for the size and realistic look, the 3-D target is a pretty good asset for your hunting practicing. All in all, keep in mind that you get this for quite years of use, so it’s a good and wise investment of your money. 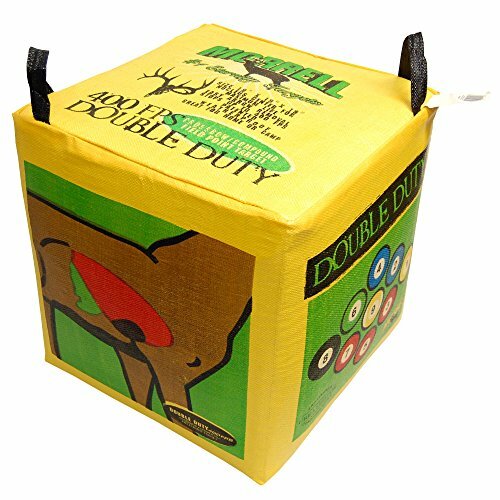 Other than this, the Morrell Double-Duty is a reliable, long lasting target, great for crossbow archery. When it comes to the parts we don’t like about the Rinehart Target Gobbling, we can only think of one; the steep price, that is. But, the long life time of this target is a reasonable trade-off for your buck.